I saw a statistic that blows me away: electronics make up 2% of the material in landfills but account for 70% of the toxins. Since I began my company, Sensible Recycling, I am amazed by the amount of people I meet that don’t know what to do with their old electronics. My neighbor across the street threw their old computer in the trash today, despite knowing what I do for a living. Are we killing ourselves because of our lack of understanding, or is it too difficult to do the right thing because electronics recycling isn’t accessible? Recycling electronics is not like glass, paper, or plastic. You can’t just throw it in a bin and stick it on the curb. You have to horde it and wait for one of those community recycling days, or take it to a scrap yard. Even if you do that, do you know if your material is being recycled responsibly, and what is responsible recycling of electronics? As the owner of an electronics recycling company, my definition of responsible recycling differs than that of many recycling companies out there. If you are throwing your electronics on the curb, I hope they don’t contain data. Your hard drive contains your entire online life, don’t let some guy in a pickup truck looking for scrap metal grab it. God knows where it goes from there. For the same reasons, don’t take your electronics to a scrap yard. Scrap yards recycle metal, and while they may take your electronics, you have no guarantee that it is being handled properly. Some other recycling company may buy that material to be processed overseas, or it may wind up being bought by company and handled properly. You just don’t know. Find someone that is recycling, not refurbishing. I am biased on this point because I do not refurbish material. Granted some material I receive is reusable, and to that point it can and will be reused. I do not refurbish because it creates issues with lesser material. If you are solely looking for material to refurbish, then what happens to broken or obsolete material? Refurbishing also requires a lot of expense for various certifications and time to test products and load new operating systems. By not focusing on refurbishing, all material can be broken down to the base components, sorted and processed for outlets that are looking to recover the metals for reuse. Components that are reusable can be sold to someone that specializes in building, repairing, or refurbishing. This process allows for my company to recycle all electronics that come our way, even the ones that are unwanted elsewhere, responsibly. I don’t need special certifications that a refurbisher needs. I can also offer my services free of charge because I have less overhead. I also take care of the responsible side because I can use a certified downstream for some items, and send directly to a refiner for other items. 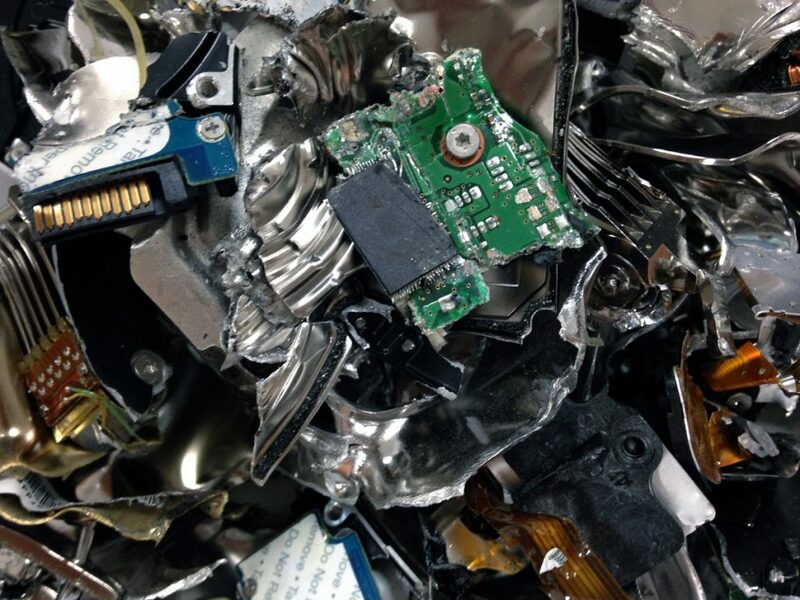 Another issue to consider when recycling electronics is making sure your data is destroyed. If you are getting rid of your computers at the local city or county waste department, they aren’t destroying your data. If you are taking your computers or other data containing items to the scrap yard, they aren’t destroying your data. If you are throwing away your old electronics, your data is definitely not being destroyed. It is the policy of Sensible Recycling to destroy all hard drive data, be it by sanitizing or physical destruction. We also provide serialized certificates of destruction for this service. We can do all of this free of charge because our overhead is low because everything is broken down and recycled. All electronics recycling companies are not created equally. We all have our specialty, or niche. Some may charge, some may buy, or some can do it for free. It is our goal at Sensible Recycling to make recycling responsibly easy, accessible, and free. The important thing is to make sure your material is handled correctly.